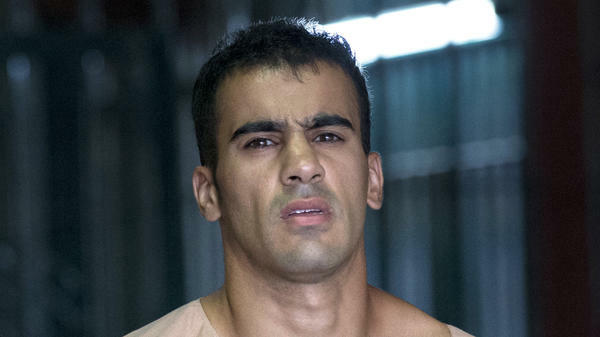 Dissident Bahraini soccer player Hakeem al-Araibi, photographed Feb.4 as he left court in Bangkok, was released a week later after prosecutors said they were no longer seeking his extradition to Bahrain. A prominent Bahraini soccer player, who had been facing a decade behind bars in his home country on disputed arson charges, was released from a Bangkok prison Monday after extradition charges against him were dropped. Hakeem al-Araibi, 25, who had been living as a refugee in Australia with permanent resident status, will return there, the country's prime minister, Scott Morrison, said. At a news conference Monday, Morrison said Araibi was on his way to the airport "as a result of the decision of the Thai government not to pursue the extradition." Morrison cautioned, however, "as is always in these cases, people aren't home until they're home." On Nov. 27, Araibi was anticipating celebrating his honeymoon when he touched down in Bangkok with his wife. Instead, he was taken into custody on an Interpol "red notice" issued by Bahrain, allowing Thai police to provisionally arrest him pending extradition. Araibi had initially been arrested in Bahrain in 2012 after authorities said he committed arson by burning down a police station. After his arrest in Bahrain, Araibi said police tortured him. Araibi fled Bahrain, seeking asylum in Australia. In 2014, Bahrain convicted him in absentia and sentenced him to a decade in prison. His brother is serving his own 10-year sentence, the Times reports. "Bahrain is a state that has no human rights," Araibi told Human Rights Watch from a Thai detention center in December. "My life is in danger." Australia has remained Araibi's staunch defender, decrying the legal basis for his arrest and pursuing his release. Yet, Australia's Embassy in Thailand released a statement indicating it may have contributed to his arrest in Bangkok by notifying Thailand of his travel. The embassy said after learning of Araibi's protected refugee status, it rescinded the red notice. Araibi's plight has inspired a broad international outcry that included pressure from the sports world. His own Australian soccer team Pascoe Vale FC; FIFA, the global soccer federation; and the International Olympic Committee were among the organizations calling for his release.